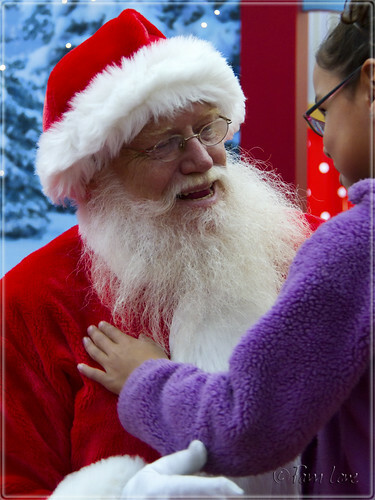 Downey Daily Photos: Santa Claus is coming to town! 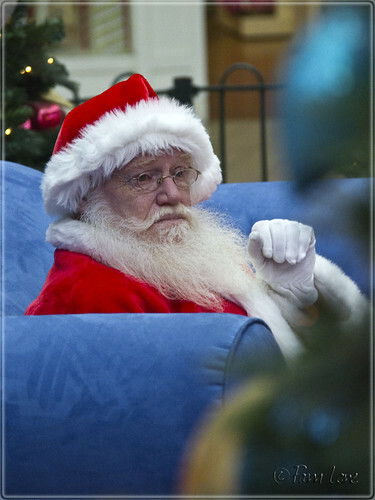 Santa can be a bit intimidating to little kids, especially sitting up all by himself on his big sofa. But this Santa didn't let that get in the way. When he saw this little girl's hesitation, he was down on one knee in an instant, drawing her in until she was ready to share her deepest secrets. After the kids moved on, I stayed to chat with Santa about the Santa biz. We talked about how much he enjoys the job, how he's sorry that the season is so short. Then I asked him, "Are you from around here?" "No," he said, "I'm not local." "Oh? Where are you from?"